Come explore the hidden dye plants that dot the urban landscape of Portland, Oregon! In this one-day intensive, the ancient art of dying textiles with plants is given contemporary relevance as we explore the idea of Local Color. Students will learn to extract dye from plants, barks, flowers, and weeds found along the roadsides, parking lots, and garden plots throughout the city. 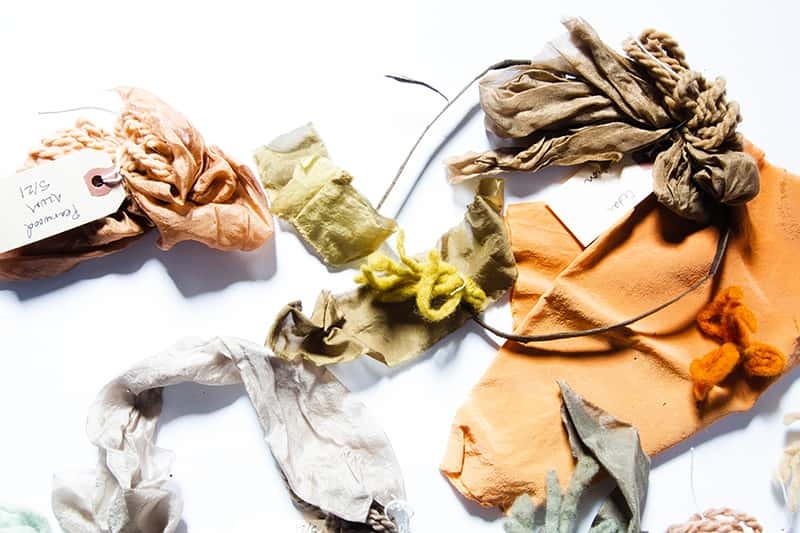 We will use non-toxic mordants, plant & animal fibers (cotton, wool, silk) to create a journal of swatches and samples, recording the multitude of colors hidden in the world around us. Students will leave with 2 finished textiles and a swatch book.